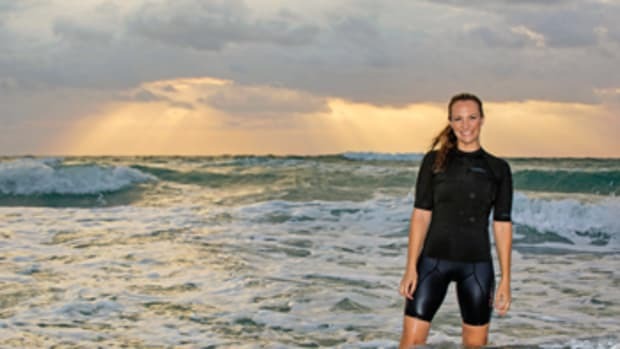 She sailed all over the world as chief scientist and program manager for Seamester and is a PADI scuba instructor with more than 1,000 research and training dives to her credit. 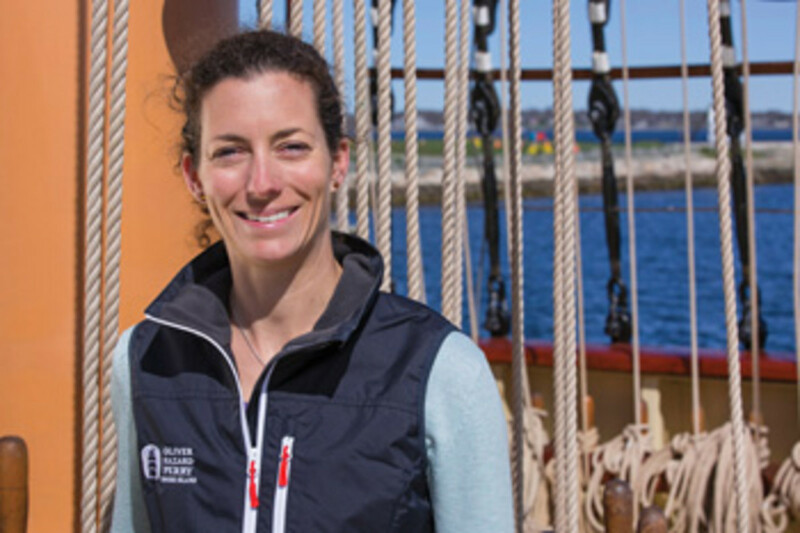 All this makes her ideally suited to her current gig as executive director of the non-profit organization behind Rhode Island’s tall ship, Oliver Hazard Perry, the first oceangoing, full-rigged ship to be built in the United States in more than 100 years. Wurzbacher may not be sailing the ship, but she’s certainly steering its course. 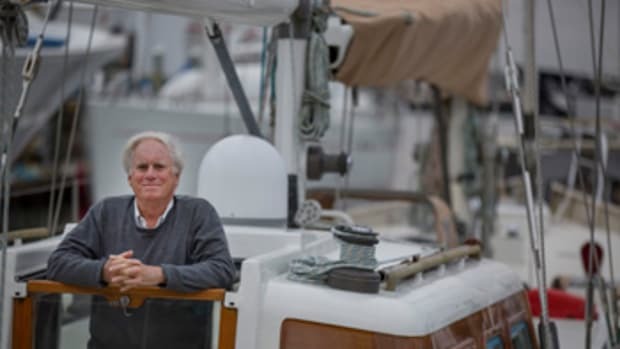 First memory of being on a boat: I set foot on a sailboat for the first time in 2004 when I joined Seamester as scientist aboard Ocean Star, an 88-foot schooner, in the British Virgin Islands. 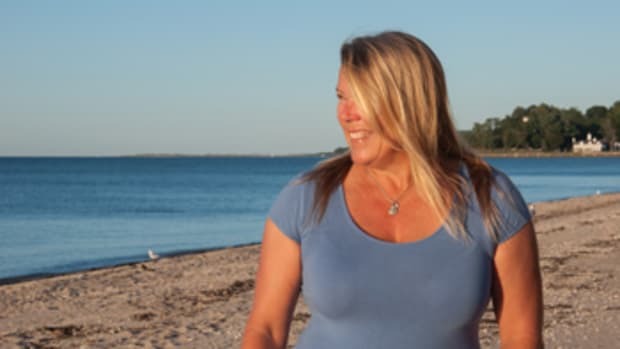 Six years and 40,000 nautical miles later, I’d almost sailed all around the world — and fallen in love with life at sea. 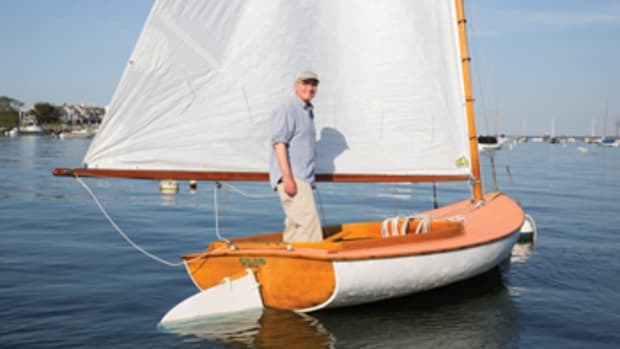 First boat you owned or skippered: Does my kayak count? I hold a six-pack license and Yachtmaster 200T certificate but have never had my own command. 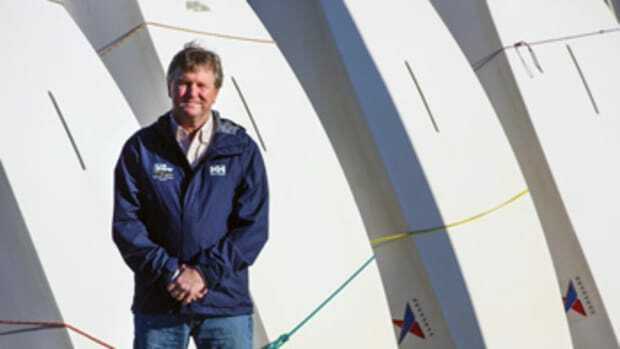 I took on many roles with Seamester — chief scientist, mate, program manager, dive instructor, purser. I was just as happy as a mate and running the educational programs and logistics. Last or current boat: We own a little Bayliner. It’s by no means my dream boat, but it’s perfect to take our 4-year-old son out for some swimming and fishing. We’ve even slept a few nights on it. We hope to upgrade to a sailboat for some local cruising, but this suits us perfectly for now. Favorite boat you’ve owned or skippered: The other boat I worked on for Seamester was Argo, a 110-foot schooner that sails around the world offering 90-day semesters. While both Ocean Star and Argo have special places in my heart, Argo was perhaps my favorite, based on the remote places we sailed to and the true adventure of making new tracks for the company. 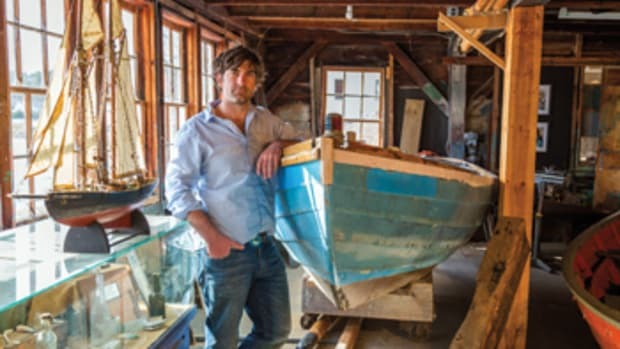 Your dream boat (to own or skipper): Seven years ago we moved ashore to Jamestown, Rhode Island, and it couldn’t have worked out better. 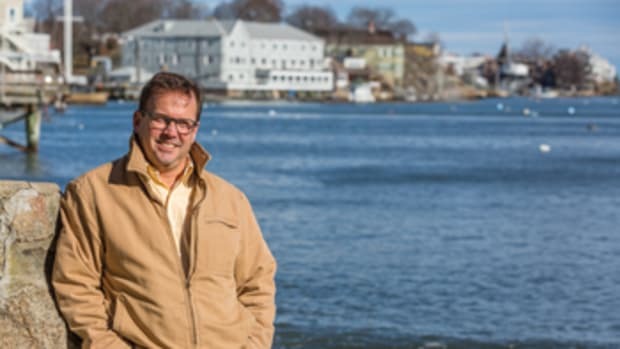 In 2012 I started working for the non-profit Oliver Hazard Perry Rhode Island and have grown into the role of executive director. The organization owns and operates the Oliver Hazard Perry, the largest civilian sail-training vessel in the country. The best part of my job is that the work I do, creating and developing programs and itineraries, allows the crew and trainees to have some of the wonderful experiences I had when I was at sea. This year our itinerary includes a 4½-month expedition to the Northwest Passage above the Arctic Circle. It’s certainly set to be a big adventure, but with a hard-working husband, a crazy 7-year-old Labrador retriever and a curious 4-year-old, land life is the perfect place for me at the moment. Most rewarding (sailing) experience: Almost all of my sailing has been aboard sail-training vessels, where students come aboard to become part of the crew. I’ve seen a lot of changes in the students who’ve come aboard Seamester vessels and now Oliver Hazard Perry. 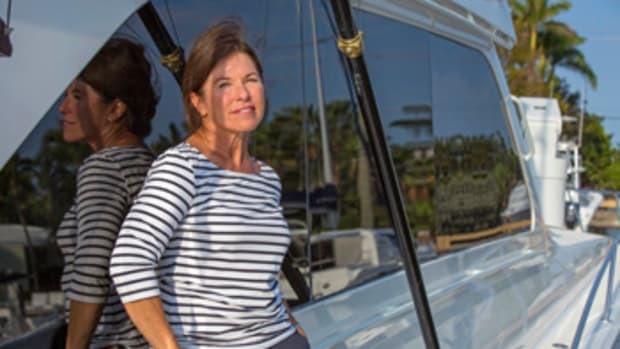 They become more confident, and I’ve enjoyed watching many go on to pursue careers at sea. It’s an honor to be a little part of their inspiration. Scariest adventure aboard: Sailing from Singapore to South Africa, we were hit by an unpredicted storm and hurricane-force winds in the middle of the Indian Ocean. It wasn’t scary at the time — we all knew what we needed to do and sprang into action. We reduced sail, and a few hours after it passed, we were cruising on a broad reach with just the staysail up, making 15 knots under a clear, starry night. It was back on land and upon reflection that I realized it had the potential to be a scary incident, but the crew and boat handled it so well, at the time it wasn’t. Most memorable experience aboard: When we saw South Africa on the horizon after a long and rough passage from Singapore. We had music blaring, and our spirits were so high. South Africa was a new and unique destination for all of us. I was also engaged and married there over the next month! Longest time you’ve spent at sea without setting foot on land: I’ve crossed the Atlantic twice — once from the Med and once from South Africa — and the Indian Ocean. I think my longest time at sea was about 14 days. Favorite destination so far: That’s a tie between South Africa, St. Helena, Saba in the Lesser Antilles and Dominica. Favorite nautical book: Portside Pirates, by Oscar Seaworthy. Favorite nautical cause you support and why: Oliver Hazard Perry Rhode Island! To be standing on the dock and share the excitement when students return from sea — they often join the ship afraid and timid and return with courage, ambition and great friends.